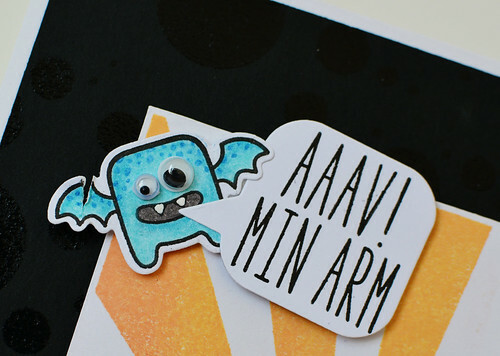 A few months ago Bertram injured his arm and I wanted to send him a little get-well-soon-card. 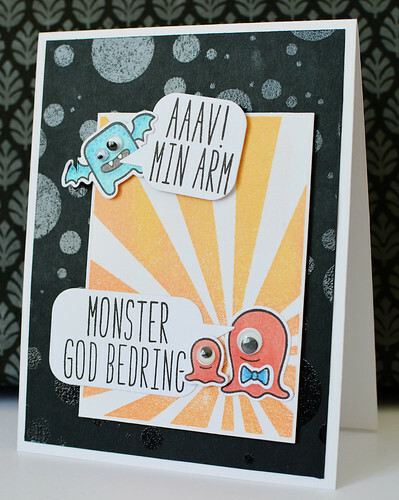 I had just done a get-well-card for the Norwegian stamp magazine, Ett Trykk where I used Lawn Fawn’s Monster Mash and I liked the idea so much I used them again. I love the idea of wishing someone Monster much better health (works better in Danish than in English though). I heat embossed circles of various sizes on the black background just to give it some interest and then I build my scene on top of Neat and Tangled’s Sunburst stamp. Since Bertram almost (but not entirely) broke his arm, I decided to have the little flying monster sport an almost broken arm. He is saying “Ouch! My arm” which is actually also a saying from Danish television’s most loved series, Matador. The larger of the two monsters are then wishing that Bertram feels monster much better (again: just works so much better in Danish). 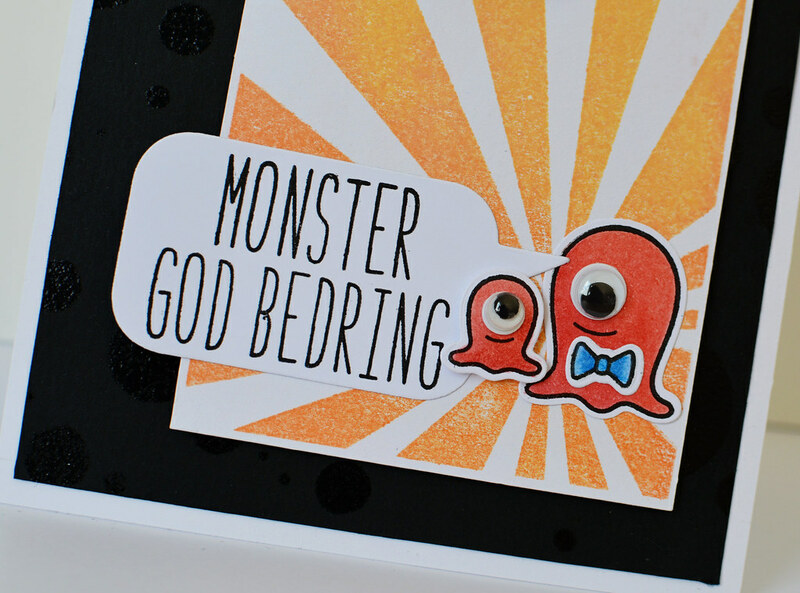 Of course all three monsters were supplied with googly eyes – they just seem absolutely right for these cute monsters. 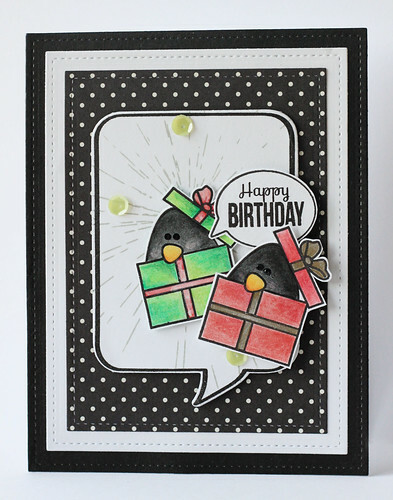 For both of the speech bubbles I’ve used Papertrey Ink’s Bubble Talk Dies. 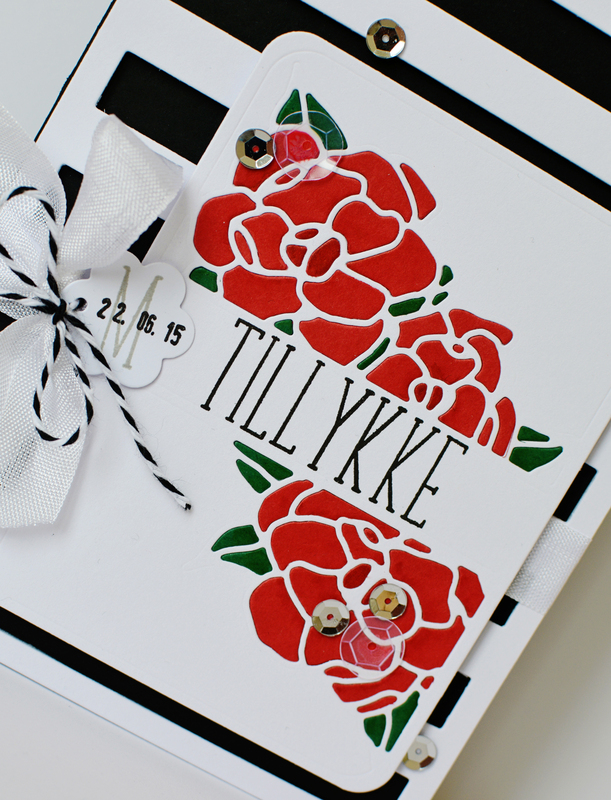 I got an order for a card for a young woman graduating the Danish equivalent of high school earlier this summer. 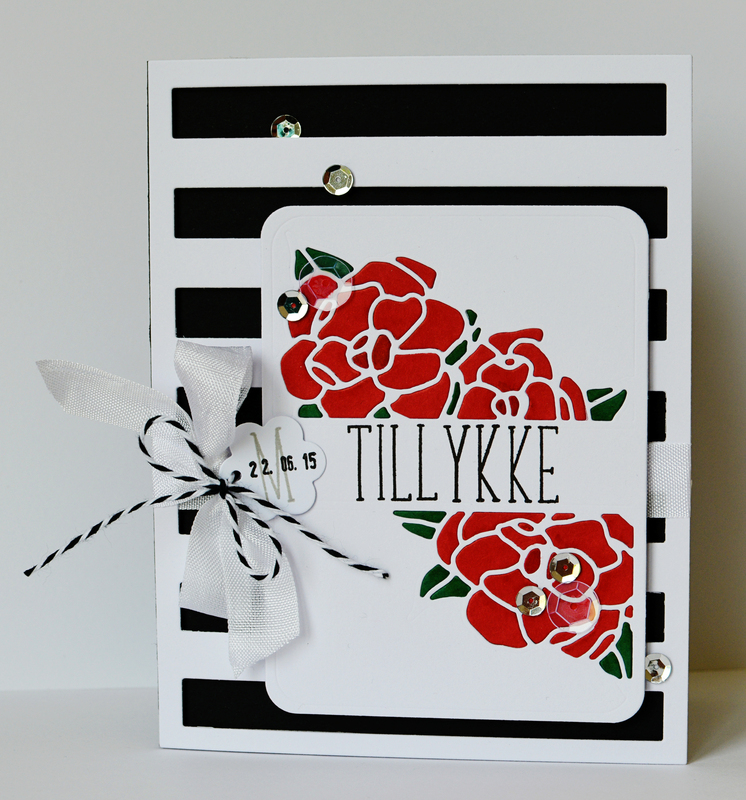 Since the new graduates wear a cap in red, white and black those are the colours I chose for the card. Since it is also a tradition to give roses to graduates, I decided to use the amazing Gardenia Blooms die from Neat & Tangled. While the flowers might not be roses I think they look enough like roses to work in this setting. 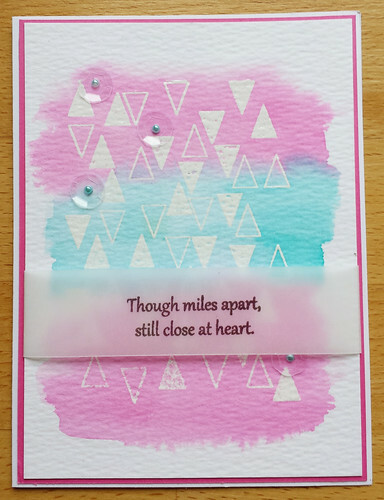 I stamped the sentiment using Lawn Fawn Violet’s ABC which had the perfect height to fit in the space on the diecut piece. 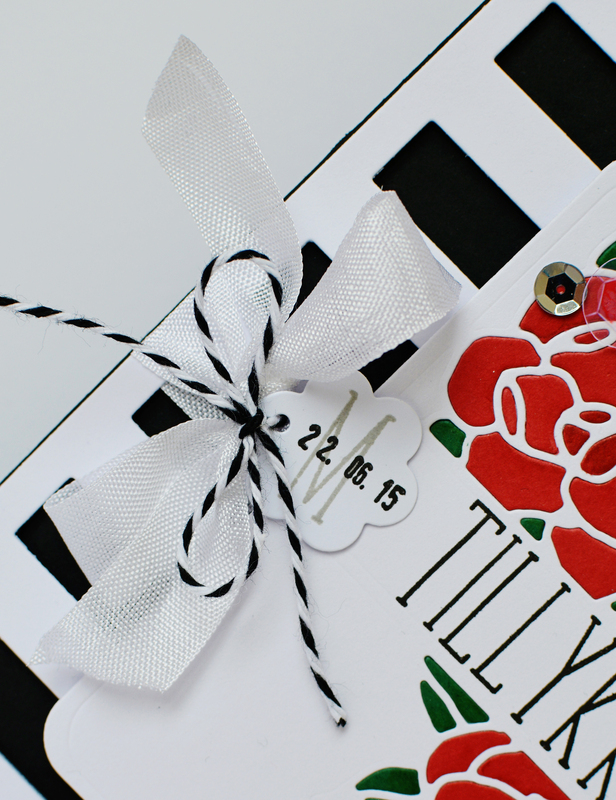 As a way of personalizing the card, I added the date of graduation and the first letter of the young woman’s name to a tiny tag. 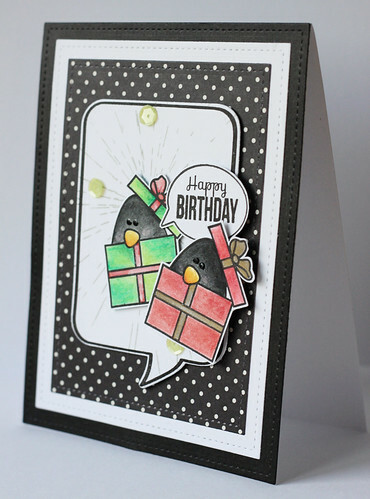 It is a very subtle way to make the card match the occasion perfectly. When I came across this card, I got inspired to work with watercolour and Neat & Tangled’s Tiny Triangles. 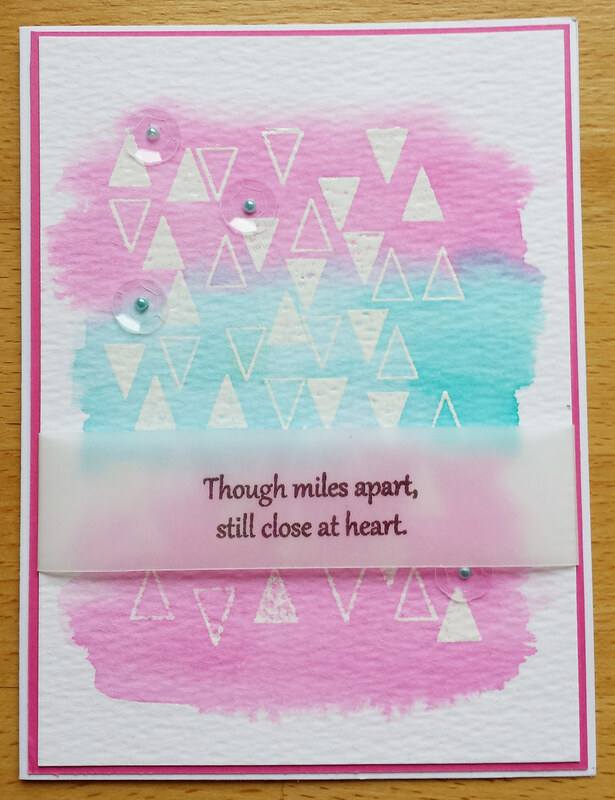 I went with a completely different colour scheme using Distress Inks in Picked Raspberry and Peacock Feathers. 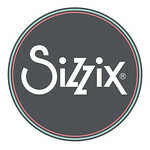 While I liked the idea of having sequins be the decoration I wanted mine to be more delicate. 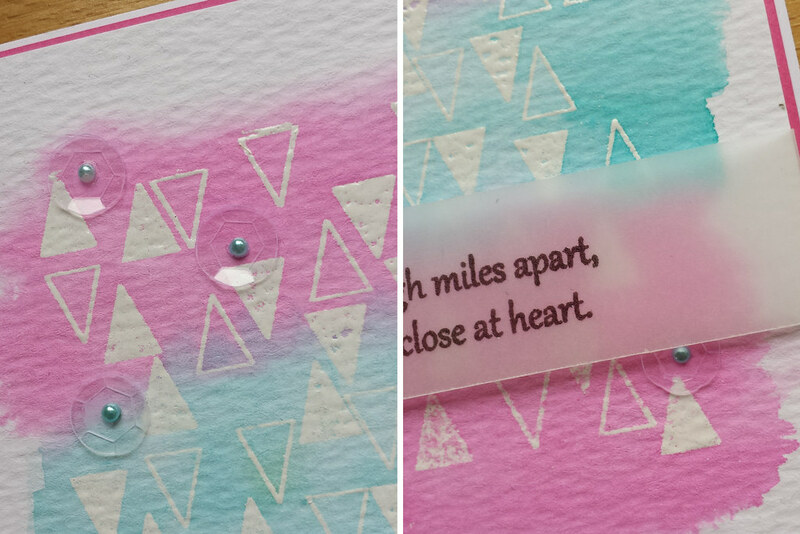 I went with transparent sequins and further decorated them with tiny blue half pearls. Watercolour is such a fun thing to work with because it gives you a very elegant and somewhat random look. 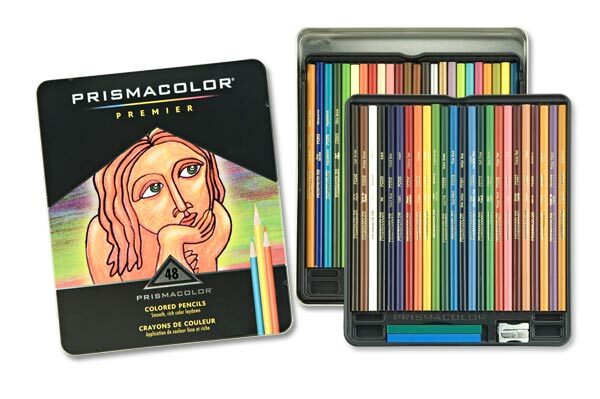 I am fairly sure I’ll be working more with watercolour in the future.